Leaders of all kinds are always looking for balance. I believe balance is important, but more than balance a leader needs great prioritization skills. I have seen many good leaders trying to balance so many different things in your life, but if you are not focusing on the right things your leadership will suffer greatly. What is important in your life? How serious are you about being successful? As leaders, it is so important to discover the skill of prioritization. 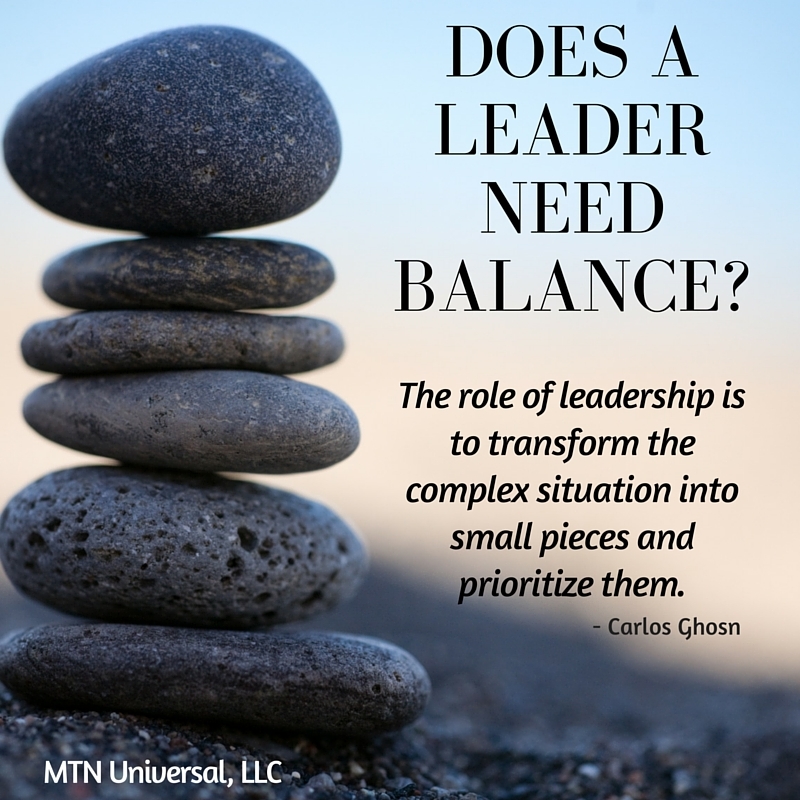 Once you discover the important things in your life and the leadership you need with those things, you will discover the need for prioritization versus balance. You can focus on balancing everything in your life or you can focus on prioritizing the most important things in your life. Here is a six-step process to help you practice the skill of prioritization in your life. 1. Make a list of all your responsibilities. Take out a sheet of paper and list any and every responsibility you have in your life. 2. Determine urgency versus importance. Everything on your list should not fall under urgent tasks or vice versa. It is vital to know the difference between those responsibilities that are urgent versus those that are important. Urgent matters need attention right now, whereas important tasks need attention but just not right now. 3. Evaluate the value of all tasks. Within the urgency and important categories, assess which responsibilities have the highest and lowest value. 4. Check estimated completion time. If there are two responsibilities fighting for the same priority slot, then assess the estimated completion time of both and choose to complete the more difficult task first. Completing the more difficult task first will make it easier to deal with the least challenging task. 5. Be flexible. The only thing in life we can depend on is change. So even with great prioritizing skills, your priorities will change and there will still be just as much uncertainty. Although you will be flexible and adaptable, you will also need to stay focused on the most urgent and important tasks. 6. Know when and what to cut. Everything may not make the completion list on that day, but you will be forced to push that task to the next day or decide whether it needs to be cut from the list. No matter where you are in you life, you will benefit from prioritizing the many responsibilities in your life. Seek to prioritize and you discover the ability to complete the most urgent and important tasks in your life, which is described as being productive. Don’t wait any longer; start managing your daily, weekly, and monthly tasks with better efficiency. Please share your thoughts on balancing versus prioritizing by leaving a comment below, sending me a tweet on Twitter, or by leaving a comment on Facebook.